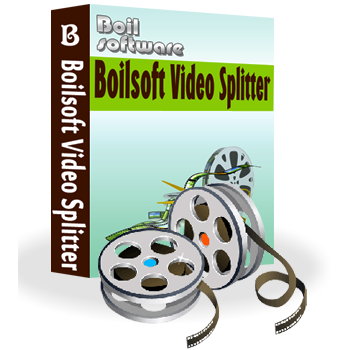 Download Boilsoft Video Splitter free setup for windows. It is powerful video cutting tool that allows users to cut or trim a large media files or MP4 Video files into smaller video clips without re-encoding. Video Splitter is popular video cutting tool specially designed for trimming the large media files into smaller video. It allows users to split, cut or trim a large AVI, MPEG, RM, ASF, WMV, 3GP, MKV, FLV into smaller video clips without re-encoding. Cutting the MP4 videos into smaller clips is also possible with this handy tool. The best thing about this splitter is its splitting speed is extremely high (10 times faster than the Encode Mode) while output file quality is the same with source media. The Encode Splitting Mode of Boilsoft Video Splitter supports splitting any format video to any format and output to any format file. The most popular media file formats supported by this tool are MPEG, RM, ASF, WMV, 3GP, MKV, FLV, MP4, 3GP, AVI, DVD, FLV, iPod, MP3, MP4, MPEG, PSP, RM, SVCD, VCD, VOB and WMV for input and output. With the help of built-in player users can extract any part of the video by setting the start and end time. Furthermore, splitting the file into multiple pieces of equal size is quite easy. All in all, Boilsoft Video Splitter is professional video cutting tool and we highly recommend it. Click on the link given below to download Boilsoft Video Splitter free setup. This is the complete offline setup of Video Splitter which has excellent compatibility with both 32bit and 64bit operating systems. © Copyright 2016-2019 AllPCWorld.com All Rights Reserved.